South Yarra is emerging as an up and coming investment hotspot, as buyers cast their gaze to city fringe locations amid supply shortages and yield contractions in the CBD. Tom Tuxworth, CBRE Senior Manager, City Sales & Strata Commercial, said a shortfall of stock in Melbourne’s CBD and tightening yields were forcing buyers to look to inner-city suburbs for investment options. Highlighting the recent trend is the sale of a 55 square metre retail shop in South Yarra to a local investor for $850,000. Mr Tuxworth negotiated the sale in conjunction with fellow agents Rorey James and Nick Lower on behalf of Icon Constructions. The sale equated to a rate of $15,455 per square metre and a yield of 5.2 per cent. “This sale reflects the high level of confidence in the area for retail investments leased to food and beverage operators,” Mr Tuxworth said. The trio also recently negotiated the sale of a 64-square metre retail shop at Williams Road to an offshore investor for $780,000 on behalf of Icon Construction. “This is further evidence of increased demand from local and offshore buyers for city fringe investment properties,” Mr Tuxworth explained. Mr James said South Yarra was fast becoming a desirable location to invest. 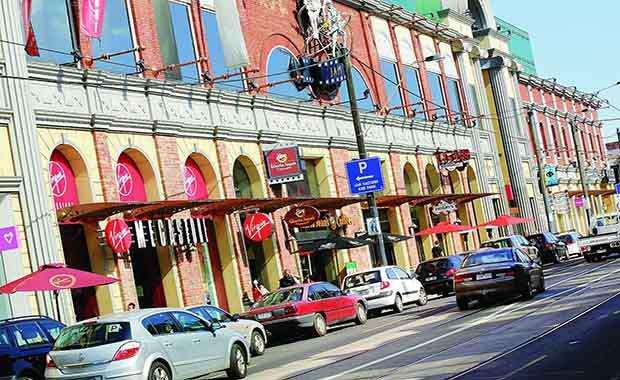 “Renowned for its thriving café culture and bustling retail market, South Yarra is flying high on the radar of investors, with a number of local and offshore buyers jumping at the opportunity to purchase in the area,” Mr James said.